Helping you better understand and experience Spiritual Life through the Gospel of John, this short book packs a lifetime's worth of wisdom. Want to find your feet in spiritual life? This compelling, inspiring book is an invigorating re-reading of the fourth Gospel by a well-known spirituality writer who has lived some years in the Holy Land. 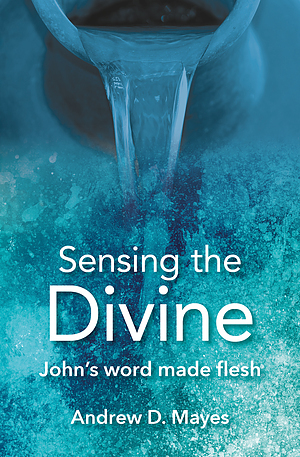 Uniquely, it approaches John's Gospel by exploring how he uses the senses, both physical and spiritual, in his encounter with Jesus Christ, the Word made flesh. This refreshing appreciation of the Gospel will activate and stimulate our own discoveries and spiritual quest, not only of the Gospel, but also of God's world, ourselves and our mission. Sensing the Divine by Andrew D. Mayes was published by Bible Reading Fellowship in April 2019 and is our 4044th best seller. The ISBN for Sensing the Divine is 9780857466587. Be the first to review Sensing the Divine! Got a question? No problem! Just click here to ask us about Sensing the Divine.